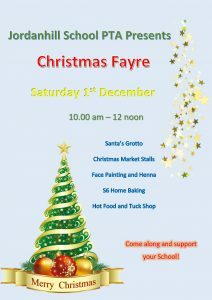 The PTA Christmas Fayre takes place on Saturday 1 December from 10.00-12.00. A wide range of craft stalls will be complemented the usual festive activities. Come early to book your place to see Santa!